It was a very cold winter morning and having landed in the hotel previous evening I did not get an opportunity to see the place. I had walked barely a few steps when I decided to cross the road not realizing that the traffic moved in opposite direction on this desolate road in Long Island in New York! 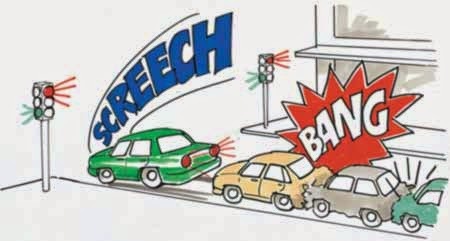 A screech of tyres shook me out of stupor, as I saw the car braked just 5 m away from me! The driver waved his hand asking me to cross and I sheepishly looked at him and thanked! It was a lesson for the rest of the stay to be vigilant as I am not a cat that is blessed with nine lives! 3. Poor fitness condition of vehicles, over used tyres, and almost zero maintenance of most of the vehicles. 6. Very little penalties for traffic related offences and long litigation period, giving a feel of justice denied to the victims. I was once traveling in Christchurch in New Zealand and the road was almost without any traffic! The signal was RED and one lone car was waiting, despite no traffic on either end of the road! This is discipline, and road sense! The car drove off, only when the signal changed to GREEN! This is a stark contrast to numerous vehicles that jump the light on every crossing and motorbikes speeding as if they are on the run after committing a heist! 4. Teach the children by first doing the right things ourselves. They will follow the good practices! 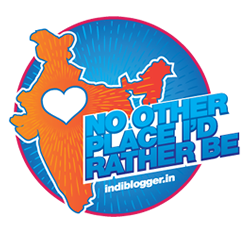 PS :1.This post is my entry for the Nissan Safety Driving Forum/ Indiblogger sponsored contest. Very apt and relevant post, Rahulji with all the points and solutions. I like your NZ example where the car waited for the signal to turn green. An ad of Aamir Khan's show 'Satyamev Jayate' also showed the same. Thanks a lot Anita! There is so much to learn to make things better! Good and comprehensive guidance for safe driving. 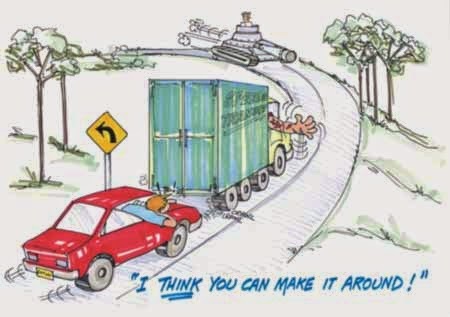 If strict road discipline is maintained accident rate will reduce to a fraction of current accident levels.You seem to be entering a new contest almost every day :) Keeps your mind sharp and competitive.Best of luck ! I have just one suggestion. Let us ensure stoppage of issuance of fake driving licences and watch at least 50% drop in accident rate. I was an active member of Institute of Road Training Engineering and know how the system works. Coming from you it has the stamp of authority at least on such related matters! Corruption if weeded out can work wonders in every sphere where we are lagging! Very relevant points Rahul but nobody wants to learn.The whole scene is pathetic. I feel just the same way like you except airing my thoughts and trying to do my very little bit, Induji! Thanks a lot! Very well written post. People should learn that there is a system for a reason and that we should follow the rules properly. This is a topic that makes me sad every time. I remember the Satyamev Jayate episode which was so informative. Your example of NZ reminds me of the same experience I had so many times in the US where people wait the turn because it is the right thing to do. I wonder when that traffic sense will come in us. Good post! I do not know when if it will ever change! Thanks for reading Rachna and that comment only shows the long journey ahead of us! The worst part is when you stop at a red signal on a deserted road and the driver of the vehicle behind you blares his horn prompting you to move on without that discipline that you so rightfully pointed out! I have been a victim too when someone rammed my car from behind when the light was still RED! Thanks a lot Jaishree! It makes me so angry to see drivers engrossed in their mobiles with absolutely no regard to safety and consideration for other drivers. Welcome to my blog Vandana! You have a nice blog! A great post, each point you made made sense and very accurate. I see a lot of arrogance around among certain drivers, it is beyond my comprehension to understand why they act as if they own the world! Very apt post with relevant points. I have been a careless driver myself, thanks for the post n the reminder that I need to slow down then simple driving around on impulse..
Oh really!Hope you are well and keeping fine! We need to be really cautious while driving! Take care Monica!! Gosh yes, our roads are chaotic. Strict enforcement of rules seems to be the only way out of this mess. True Divya, the roads here are a nightmare! Color blindess, is it that common? You made valid points, Sir. I have learnt a lot about careful driving living here. Thanks Saru, for noticing that:) Color blindness among drivers is a fairly large percentage! Anway those with eyes also do not heed the lights so it does not make a difference!